7. The members of the Fifth Degree are responsible for all that concerns the Social welfare of the Order. This grade is symbolically that of beauty and harmony; it is the natural stopping-place of the majority of men and women; for to proceed farther, as will appear, involves renunciation of the sternest kind. Here then is all joy, peace, well-being on all planes; the Sovereign Prince Rose Croix is attached equally to the higher and the lower, and forms a natural link between them. Yet let him look to it that his eyes are set on high! 8. In this degree the Most Wise Sovereign of each chapter will appoint a committee of four persons, two men and two women, to arrange for all social gatherings, banquets, dances, the performance of plays, and similar pleasures. They will also endeavour to promote harmony among the Brethren in all possible ways, and to compose any disputes by tact and friendliness without formal appeal being made to any more authoritative tribunal. The Anahata Chapter is officially linked to Horizon Lodge, Vortex Oasis, and NOXVLVXON Encampment. There are currently 14 Chapters in the United States, all of them linked to one or more Local Bodies. There are two leaders, one male who is the Most Wise Sovereign and one female who is the High Priestess, for each Chapter. The Committee of Four, also written as Co4, contains four members, two men and two women, who meet quarterly to plan socials and other events outlined in Liber 194. Although the Co4 consists of only four Chapter members all of the Chapter members are involved in planning, writing original ritual, organizing, setting up and cleaning up after Chapter sponsored events. The Committee of Four also offers mediation for Horizon, Vortex, and NOXVLVXON members. If you have a dispute and need mediation please contact the Chapter via the email given below. 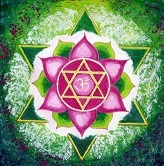 Please ensure you have followed The Path of Mediation before contacting Anahata Chapter.